A seasoned public relations specialist and crisis communication expert, Rosemary Plorin became president of Lovell Communications in 2014 and chief executive officer in 2015. With 25 years experience in corporate communications, crisis and issues management, marketing, and traditional and social media relations, Plorin is leading Lovell Communications through aggressive growth while keeping the company firmly committed to delivering exceptional strategic consulting and impeccable customer service. Plorin has vast issues and crisis experience in both the private and public sectors having worked in the communications aspects of numerous mergers and acquisitions, labor negotiations, civil and criminal matters, regulatory issues, and business development for companies large and small across a wide variety of industries. Specializing in healthcare crisis management, Plorin has worked with dozens of hospitals, health systems, nursing homes, post-acute and long-term care facilities on projects such as: negative DOH surveys, CMS terminations and Joint Commission denials; hospital sales, acquisitions and bankruptcies; drug diversions and DEA investigations; medical staff credentialing issues; inappropriate patient health information disclosures; DOJ and OIG reimbursement fraud investigations; euthanasia allegations; impaired provider issues; management reorganizations and reductions in workforce; medical malpractice cases; clinical trial complications and patient abuse allegations. She has worked with virtually all major news outlets including the New York Times, Wall Street Journal, USA Today, Reuters, Bloomberg, Newsweek, US News, CNN, all the major news networks, 60 Minutes, 20/20 and local news outlets across the country and internationally. Plorin has served as faculty or guest presenter in webinars and conferences presented by organizations including the American Health Lawyers Association, the American Bar Association, the Federation of American Hospitals, the Federation of American Regulatory Boards, the National Association of Boards of Pharmacy, the Federation of State Medical Boards, Modern Healthcare magazine, the National Board for Certification in Occupational Therapy, the National Board for Certified Counselors, the Public Relations Society of America and the International Association of Business Communicators. She has presented to graduate communications and business management classes at Belmont University and the Vanderbilt University Owen Graduate School of Management. An accomplished and award-winning writer, Plorin has overseen the production of numerous annual reports, white papers, brochures and related business materials, and she has written speeches and commentary for several chief executives and Fortune 500 business leaders. Her blog posts are frequently picked up by national sites and she has served as a contributing editor to Nashville Magazine and Dayton Monthly magazine. 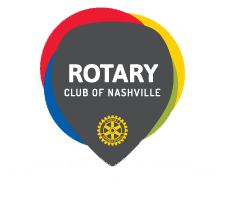 A native Nashvillian who returned to her hometown after more than a decade away, Plorin is a graduate of Denison University in Granville, Ohio, and an active member of the Downtown Nashville Rotary and the Nashville Area Chamber of Commerce. She serves on the board of trust for St. Paul Christian Academy and on the Governing Committee for the St. Thomas / Nashville Clinical Pastoral Education Partnership, and participates on the Nashville Chamber Business Conditions Council. She is a 2014 Fellow of the Nashville Health Care Council. Plorin has been recognized by the Nashville Business Journal as both a Woman of Influence and a Healthcare Hero, and was honored as a 40 Under 40 in both Dayton and Nashville.